Cosmetics can be tricky when it comes to regulation. These products are supervised similarly to drugs, but not as thoroughly. As a result, the cosmetics industry has taken measures to self regulate. However, there are still many aspects cosmetics manufacturers should be aware of. The Food and Drug Administration does have expectations for the safety of cosmetic products, even if they cannot directly enforce them legally. It’s important to work with a packaging provider that has a background in regulatory compliance, to ensure that nothing is missed when your products are about to go to market. While the FDA has limited jurisdiction over cosmetics, failing to maintain compliance could result in any number of issues. Therefore, it’s best to stay ahead of the problem and create packaging and labels that comply with all FDA requirements. A cosmetic may be used externally, internally and around orifices. Cosmetics are products for the eyes, face, nails, hair, skin, and mouth. This definition includes products like makeup, polish, hair dye, sunscreen, fragrances, as well as bath products and products for infants and children. Under the Federal Food, Drug, and Cosmetic Act, the FDA has the power to oversee cosmetics to a certain extent. However, participation in regulatory actions is often voluntary. The FDA expects that cosmetics makers understand and apply regulations, have integrity throughout all phases of the product lifecycle, create safe and effective products that are properly labeled and voluntarily participate in adverse event reporting and safety maintenance efforts. The FFDCA prohibits interstate commerce related to cosmetics that are adulterated or misbranded. Here, the FDA has power to take legal action. Adulteration: Adulteration refers to cosmetics that contain poisonous or otherwise harmful substances. This term also refers to substances that may have been prepared, packaged or held in unsanitary conditions. Misbranding: Cosmetics are misbranded when the labeling or packaging is false or misleading, or if it lacks required information, such as name and place of manufacturer or weight. If any of this required information is too hard to read or see, the product could also be deemed misbranded. Moreover, if the company suggests something that is not factual, or fails to reveal important facts about the product, the FDA may take action. If the FDA determines that a product is adulterated or misbranded, there are a number of actions the agency might take. The FDA may enforce criminal penalties, seize the product or file in an injunction to prevent the company from continuing to manufacture the product. However, the FDA usually provides a letter, notice, or a regulatory meeting before taking enforcement actions. Recalls: While the FDA technically doesn't have the authority to order a mandatory recall of a product, the organization may request that a company voluntarily recall products. The agency may also monitor a firm's recall history and evaluate the potential hazard the product poses. Voluntary Cosmetic Registration Program: Since 1974, the FDA has worked with the cosmetics industry to develop a Voluntary Cosmetic Registration Program, which helps the Cosmetic Ingredient Safety Review Program prioritize ingredient safety reviews. 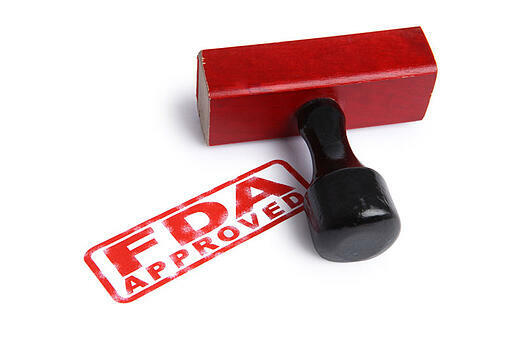 The FDA cannot require cosmetic companies to register, but encourages establishments to sign up within 30 days of the start of their operations. However, some establishments, like beauty shops, retailers, pharmacies, and other businesses are exempt from this action. While many people have a good idea of what defines a cosmetic, the FDA has very specific definitions for what is labeled as cosmetic, rather than a soap or drug. According to the FDA, cosmetics are "articles intended to be rubbed, poured, sprinkled, or sprayed on, introduced into, or otherwise applied to the human body ... for cleansing, beautifying, promoting attractiveness, or altering the appearance." This cannot include soap, which is defined separately and can only be labeled and represented as soap, according to the FFDCA. In addition, a product could also meet the definition of a drug. A drug contains articles intended for the use in diagnosis, cure, treatment, mitigation or prevention of a disease, or any articles that affect function or structure of the body. If this is the case, laws and regulations could be different and more strict. Premarket approval may be mandated. According to the FDA, some products can be defined as both a cosmetic and a drug. For example, an anti-dandruff shampoo fits both definitions. A shampoo is cosmetic, while the anti-dandruff ingredient is a drug. The product will therefore be regulated as a drug. The FDA has fewer requirements for cosmetic products than drug products, but there are still a number of things companies must do to achieve compliance. For instance, the FDA advises that cosmetic firms employ testing to demonstrate the safety of their products, and manufacturers are responsible for substantiating the safety of these items. The FFDCA doesn't offer specific guidance on what this testing looks like, but the Personal Care Products Council has created a program called the Cosmetic Ingredient Review to oversee the safety of cosmetic ingredients. A panel reviews ingredients based on an annual priority list to determine whether ingredients are safe based on the current data. When adverse events occur related to a cosmetic product, the manufacturer is currently not required to report it to the FDA. However, the FDA encourages consumers to report such issues to MedWatch or the local FDA office. Examples of adverse reactions could be rashes, hair loss, infection, as well as other issues, including products with bad smells or unusual colors. Because the FDA doesn't have requirements for adverse event reporting, the industry regulates itself. In 2007, Personal Care Products Council, an industry trade association, created a Consumer Commitment Code for cosmetic product and ingredient manufacturers. Cosmetics manufacturers and marketers are encouraged to sign the code, which stipulates that companies notify the FDA of serious and unexpected adverse events related to use of cosmetic products. However, this document cannot be enforced by the FDA. All in all, the FDA's oversight of the cosmetics industry can sometimes be unclear. Its authority is similar to other FDA-regulated products, like drugs, but less comprehensive in general. Compliance with many regulations are voluntary and overseen mostly within the industry itself. There are certain size specifications that are necessary to maintain compliance under the FDA. For instance, the principal display panel, or PDP, needs to be large enough to effectively communicate all the required information. For a rectangular package, an entire side must be devoted to this information. For a cylindrical package, it needs to be 40 percent of the height x circumference. Considerations also need to be made regarding the style and size of the letters on the panel. There must be enough contrast to make label statements easily legible. In addition, there are specific size requirements for label elements that depend upon the size of the carton in question. Because the regulations for packaging are relatively complicated, companies should work with a packaging partner that has experience with markets where compliance is a key issue. A packaging company with experience in compliance allows quicker turnaround for final design changes and inevitably allows you to get your product to market more quickly.